Are your trees and bushes being overcome by vines? You may have a wild cucumber problem. Wild cucumber is an annual that is native to most of North America. The bright green vines of the wild cucumber attach and climb on anything they can. The plant can spread rapidly since they are good at reseeding themselves. The leaves are star-shaped and resemble a maple leaf and have 5 to 7 pointed lobes, alternately placed on the stem. The seed pods are oval and grow up to 2 inches long. They are covered with sharp spines that, when ripe, burst open to disperse four flat spindle-shaped brown or black seeds. The plant grows rapidly and can get 25-30 feet of vine growth in one year. It is common in road ditches, swamps, and other rural areas. Even though wild cucumber has an aggressive growth pattern it is not considered an invasive species. On years that the plant is stressed it usually produces more seeds to protect itself which is why it is more prevalent in certain years. The easiest way to control wild cucumber is to pull or hoe small plants. When the plants get to be more than two feet tall, cutting the vines at the base of the plant works well. You may need to monitor the plants after cutting and follow up with more trimming as needed. 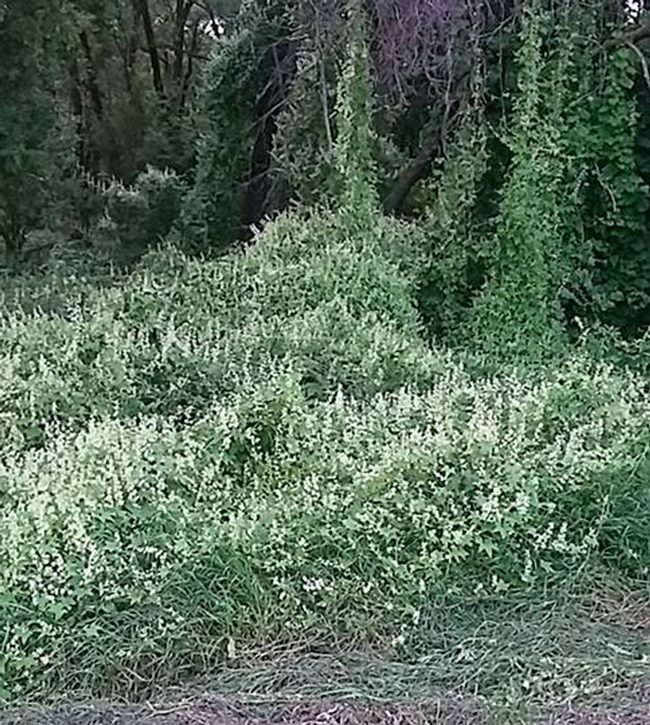 Once a wild cucumber plant has attached to a tree or other larger vegetation, it should no longer be sprayed with herbicide because it will cause damage to the larger plant as well. Persistent pulling and cutting is the most effective way to deplete the seed storage and eventually get rid of the plant in that area. For more information about wild cucumbers, please visit https://dodge.uwex.edu/2013/08/wild-cucumber-invasion/.